Report: New Switch Models in the Works for Release This Summer | Nerd Much? If you’ve been holding out on picking up a Nintendo Switch of your own, 2019 might turn out to be the perfect time to do so. The Wall Street Journal is reporting that Nintendo will likely announce at E3 2019 that they’re developing not one, but two new Switch models to bolster the system’s already impressive audience. The second of the two new Switch models will be something less expensive to get folks into the console’s ecosystem. 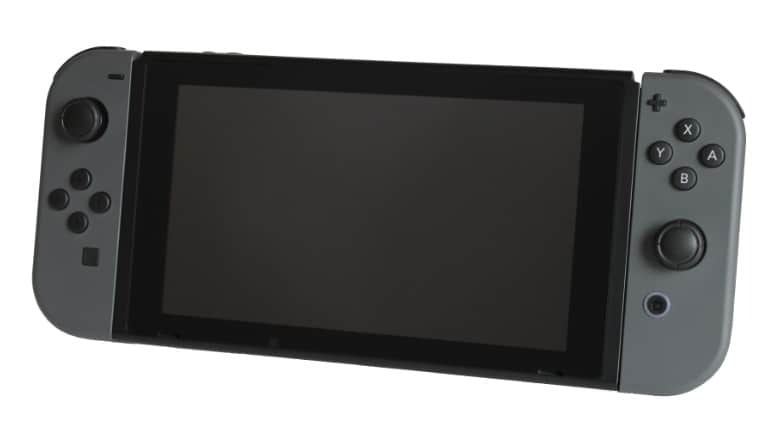 The report says it’s designed as “a cheaper option for casual gamers that Nintendo sees as a successor to its aging hand-held 3DS device.” The Switch’s HD rumble was specifically mentioned as a feature that would be removed to make the cheaper system more cost-effective. Another quote of interest in the WSJ article is that “People who have used the devices say they aren’t just similar-looking new versions with higher or lower performance.” So whatever these new Switch models end up running with internally, it sounds as though they’ll feature an overhaul in exterior design as well. The report also indicates it won’t be long before these new Switch models make their public debut. The WSJ expects Nintendo to unveil them at some point during E3, likely within their annual Nintendo Direct. The revised consoles are then expected to go on sale just a few months after that during the summer, perhaps September. It was also stated that Animal Crossing for Switch is still firmly entrenched in its 2019 slot. Making it the perfect title to help promote Nintendo’s Switch that’s being targeted for the casual gaming market. Kyoto-based Nintendo declined to comment on The Wall Street Journal’s story. For everything else that’s going down at E3, check out our constantly updating hub right here.